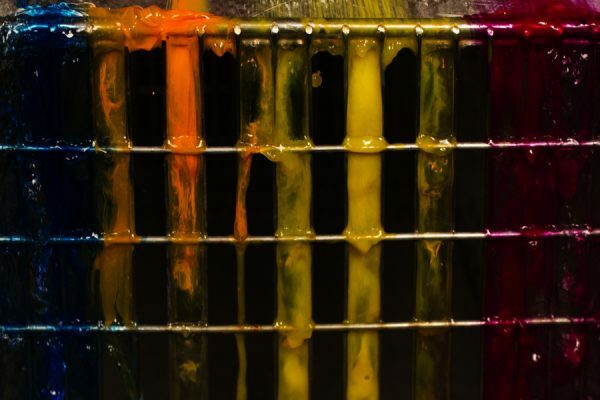 Dyed water streams down over a wire mesh. 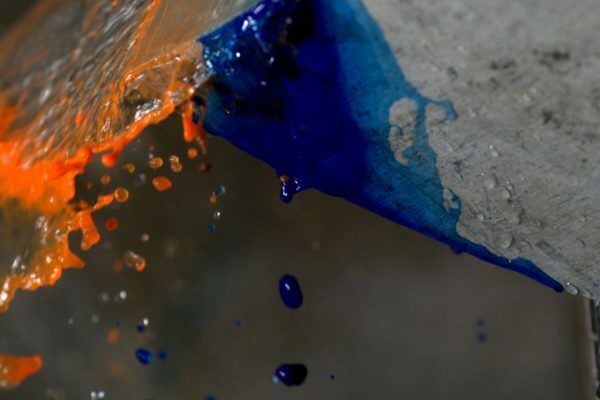 India ink was dropped into a stream of water splashing on a metal plate. 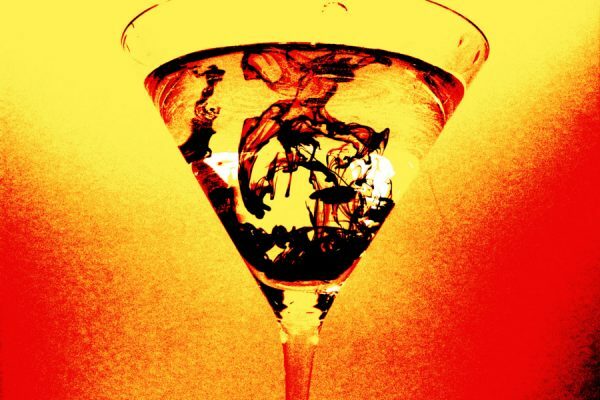 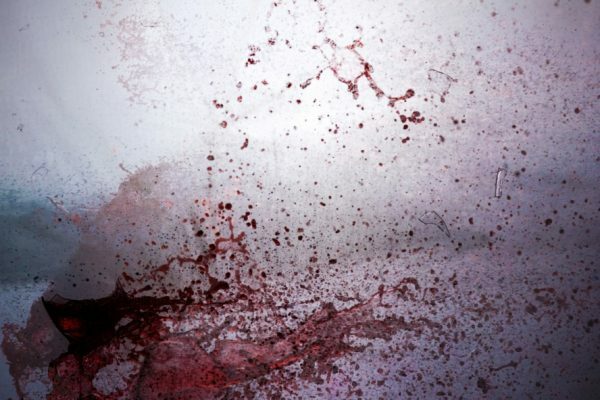 A double exposure showing first a jet of blue water traveling to the right entraining red water from a wine glass below, and second, the wine glass after shattering, releasing more red water. 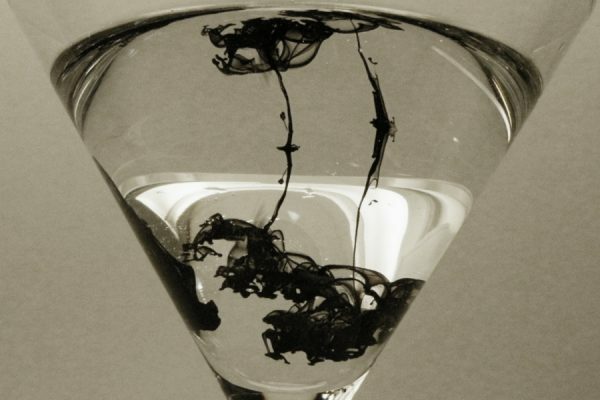 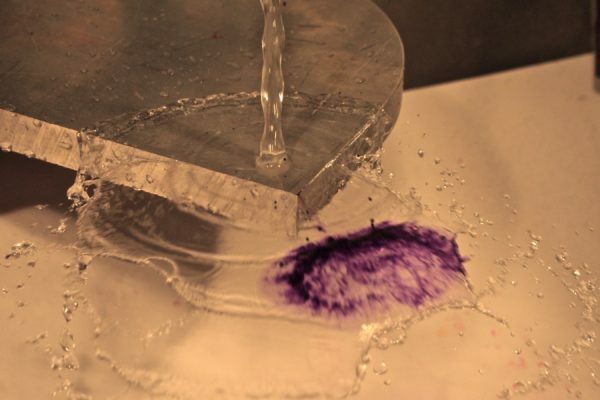 India ink dropped into water displays the Rayleigh-Taylor umbrella instability. 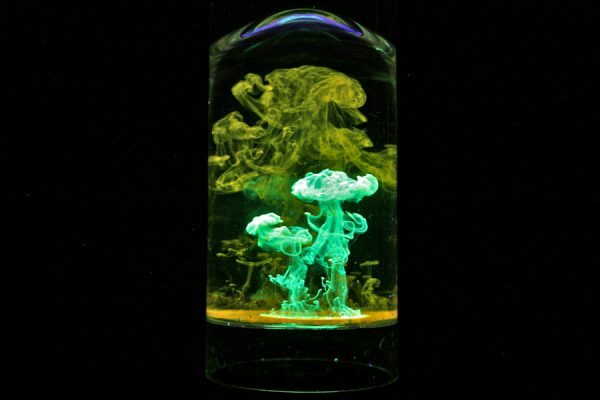 An upside-down image of green highlighter dropped into water, showing the Rayleigh-Taylor umbrella instability. 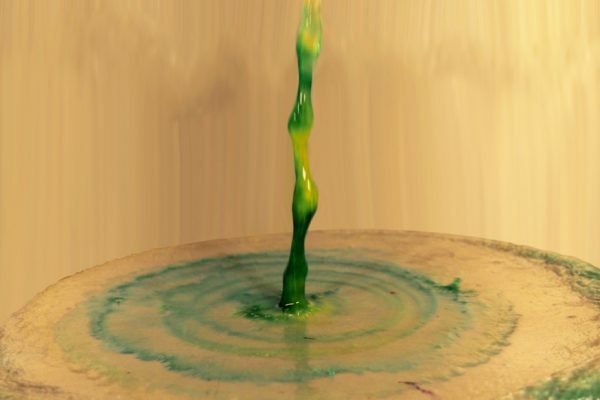 An upside-down image of green and highlighter dropped into water, showing the Rayleigh-Taylor umbrella instability. 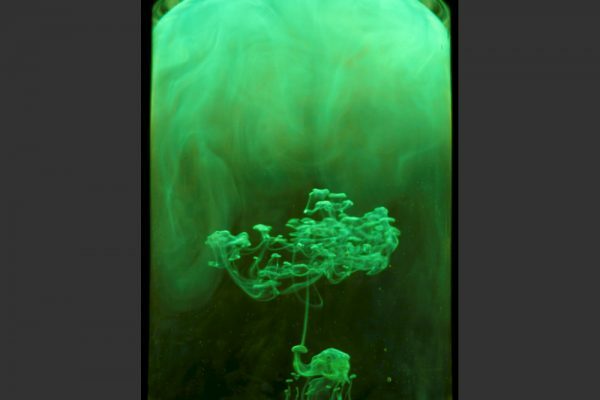 An object cooled in liquid nitrogen is cold enough to condense dense, falling fog around it.